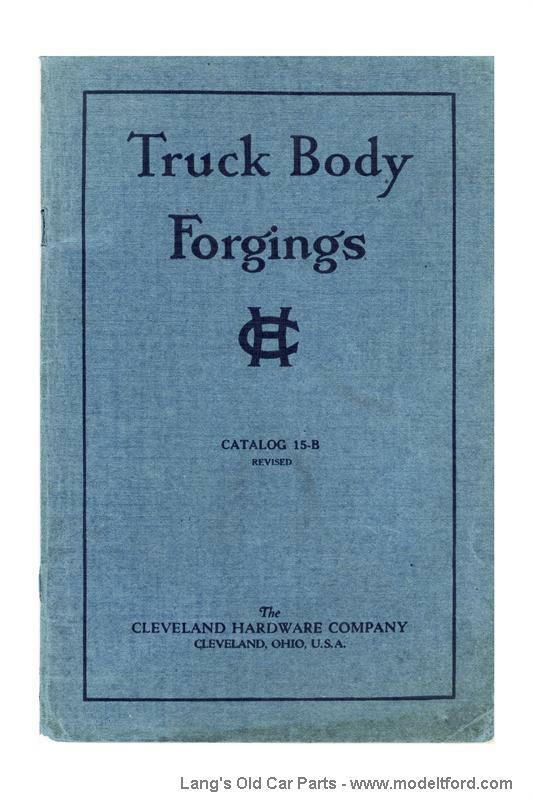 This is a copy of a Cleveland Hardware Truck Body Forgings catalog. The neat part of this catalog is that it includes dimensional drawings of all the parts they sold for Model T wooden bodies for both car chassis and Ton Trucks. It is a MUST HAVE if you want to make any brackets for you wooden pickup or other bodies. Fully illustrated. This is a photo-copy of the original, 78 pages.